The Micro 9 barrel and slide is machined from stainless steel for superior resistance to moisture, while the frame is shaped from the finest aluminum for integrity and strength. One of the most important Micro design advantages is a single action trigger with a short, smooth pull that ensures accuracy and confidence. The thumb safety, slide release and magazine release are pure 1911 in design. Other standard features include a lowered and flared ejection port for flawless ejection and a beveled magazine well for fast, positive loading. Sights are steel —not plastic— and mounted in machined dovetails for additional durability. 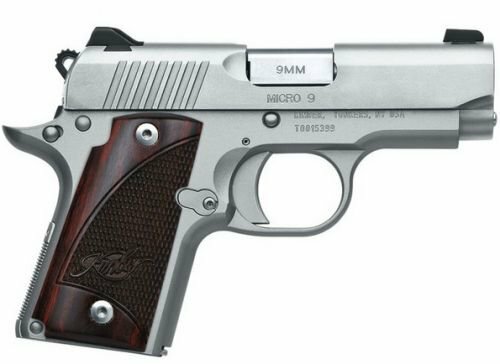 Ideal for any shooter, the Micro 9 will set a new level of expected quality and shootability to the 9mm micro-compact for concealed carry, everyday carry and home protection.